Daniel Park holds his clinical Doctorate of Occupational Therapy degree and Master of Arts degree in Occupational Therapy, both from the University of Southern California. He has also earned a Master of Social Welfare (Health Services Specialization) degree from the University of California, Los Angeles, a Master of Education degree from the Harvard Graduate School of Education, and a Bachelor of Science degree in Human Development from Cornell University. At the USC Chan Division, Dr. Park oversees Global Initiatives, which invests in international relationships at the faculty, practitioner, and student level. 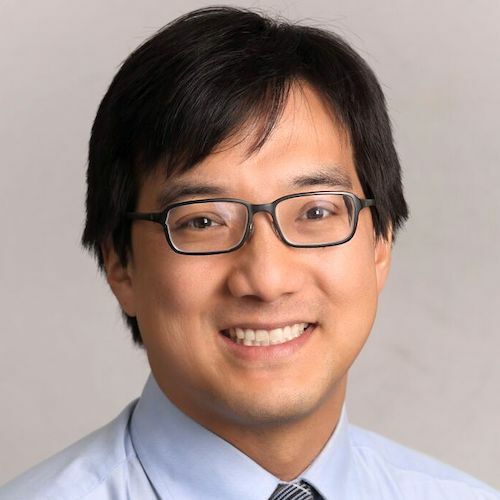 Dr. Park was previously a clinical occupational therapist at Providence Saint Joseph Medical Center (Burbank, Calif.) where he developed and launched the Outpatient Occupational Therapy Program at the Roy and Patricia Disney Family Cancer Center, designed specifically for the lifestyle and occupational performance needs of cancer survivors. Knowledge of the construct of occupation remains fragmented within traditional social science disciplines. In this paper, we aim to provide a theoretical synthesis by explicating the unique properties of occupation in relation to the self within social science discourse. Occupations relate to other social science constructs in three ways: (a) they recruit a set of associated changes into a person's life; (b) they serve a person's ability to achieve important goals; and (c) they act as a mirror by reflecting multiple dimensions of the self. Key characteristics of occupation such as its experiential salience and its repetitional flavor powerfully amplify its significant role in affecting self-relevant outcomes. Occupation represents a crucial playing field that profoundly affects the unfolding of human lives. Therefore, the continued pursuit of occupational science is warranted and can uniquely contribute to an improved understanding of the self. Despite the availability of innovative health care research, a gap exists between research-generated knowledge and the utilization of that knowledge in real-world practice settings. This article examines the transition from research to implementation in the context of the dissemination of A. Jean Ayres' sensory integration procedures and of the challenges currently facing the University of Southern California Well Elderly Studies research team. Drawing from the emerging field of implementation science, this article discusses how researchers can develop an implementation plan to more easily translate evidence into practice. Such plans should address the intervention's reach (i.e., its capacity to penetrate into the intended target population), the settings for which it is applicable, the leaders who will encourage practitioner uptake, stakeholder groups, and challenges to dissemination. By taking action to ensure the more effective dissemination of research-generated knowledge, researchers can increase the likelihood that their interventions will lead to improvements in practice and more effective care for consumers.